I’ll start this post like I started my last book review: Most startups fail. That’s a fact of life. The question is, how can we do it so that the chances of succeeding are higher? Eric Ries proposes a new approach that he tested in the companies he worked for, with good results. 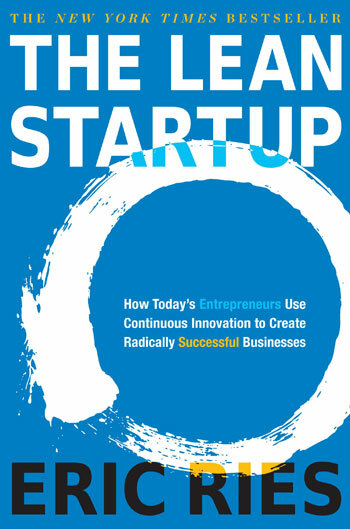 Terms like Minimum Viable Product (MVP) and Pivot became popular after this book. You should create a MVP, a version good enough to ship, and measure it consistently. It’s no use waiting months to ship a product when you can, with a simpler version, prove its success (or failure). The book describes pivoting extensively. The act of focusing on another product or idea when the original one proves not to work. There are several kinds of pivot, that Ries describes and gives examples of. You should also concentrate on the metrics that give you valuable insights, and not on “vanity metrics”, that look good on paper but don’t really help the business grow. This is a very well written book, filled with useful examples. If you work on a startup or are considering starting one, this is mandatory reading, in my opinion.